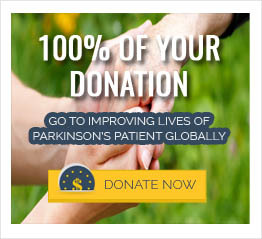 Would you be surprised to know thatresearch estimates as high as 95% of persons with Parkinson disease eventually develop swallowing problems (dysphagia). This can cause food, liquids, and even saliva to slip into the airways instead of the esophagus (the tube that leads to the stomach). In healthy people, contact with the larynx(voice box) by a foreign body should trigger a cough reflex to protect the windpipe, but many people with Parkinson’s have sensory problems that reduce the larynx’ ability to tell that something is threatening the airways. Thus, food and liquids can get into the lungs, leading to aspiration pneumonia. Studies show this condition is a leading cause of death for Parkinson’s patients. Therefore, Parkinson’s patients should seek immediate medical help, should start experiencing symptoms of dysphagia.